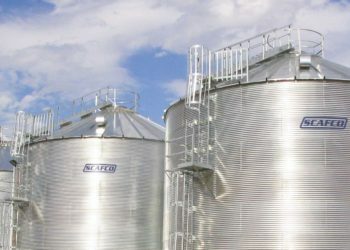 Aggregate storage bins are a great solution for projects that require economical, space-saving storage for earthen products. 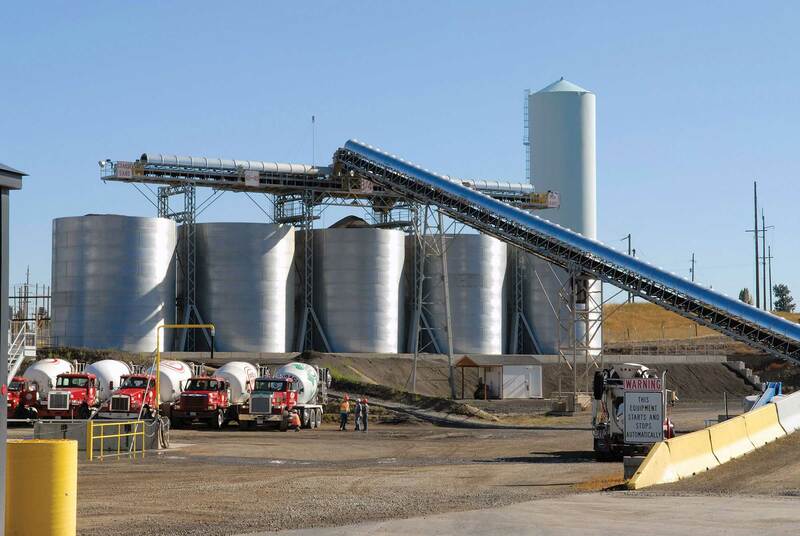 Aggregate bins can be used as a cost-effective solution for storage of material for concrete batch plants, ore for mines, or as a simple solution for sand and rock storage where space is at a premium. Aggregate bins can be assembled on-site for a construction project and then dismantled and relocated when the job is done. 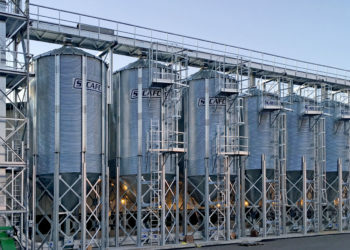 They are available in both an open-top model or with a roof to keep material dry, and are available in many different sizes to meet the needs of your construction project. Whatever your material storage needs, SCAFCO can provide a cost-effective, robust, and simple-to-use solution. 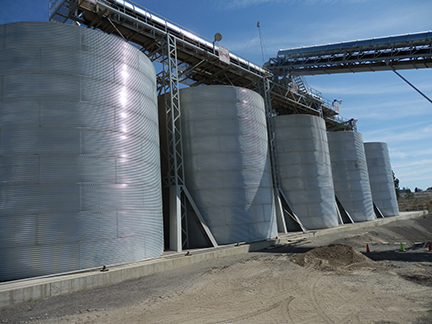 All aggregate storage bin wall sheets are high-strength, 8 gauge, corrugated, galvanized steel. 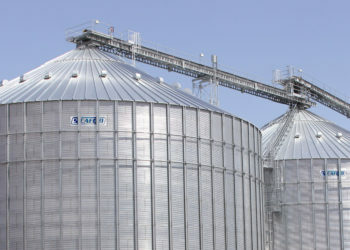 The bins are externally stiffened for extra strength, and have a wind ring near the top to maintain stiffness around the open top.